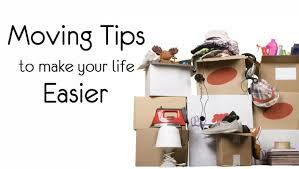 While you plan to move, you ensure that you have packed everything. However, it often happens that we tend to forget something. But not now; you can use this blog as a checklist to ensure you have packed all the things before moving. Assemble your tools and stuff. Grab a handy permanent marker for labeling, along with extra-duty packing tape, a screwdriver for disassembling furniture. Think twice before you tape up that box. You want to finish packing quickly, but a little planning goes a long way. Do pack similar items together and always (yes, always) label well. You’ll love yourself for it later. Handle and store screws carefully in a way that you don’t lose them. It is a nice idea to disassemble furniture before moving as it requires less space. However, what if you are not able to find those metal things? When you take care of this aspect, the fun and excitement of moving to a new place remains intact. Organize the moving truck. While loading things, place your biggest and heaviest things to a corner such that they lean against the rear wall of the truck. This is a simple yet often neglected tip. Many a times while leading, a lot of space goes unused. For instance, you can maximize available space by placing boxes on top of and underneath the tables. You can also rest delicate and flat things between mattresses, thus also giving them the required support. And if you need any help to move your things, Beirut Storage is happy to help you.